Ogilvy Noor has been selected by the World Islamic Economic Forum (WIEF) Foundation to develop and execute a worldwide public relations strategy for the upcoming 8th WIEF. Led by Ogilvy Public Relations Singapore, the global campaign includes engagements across the UK, Malaysia, Indonesia and Singapore. This comes on the back of Ogilvy PR’s appointment to manage the World Economic Forum for the sixth consecutive year. Aimed at connecting Muslim and non-Muslim communities, the annual forum brings together global business, financial and political leaders to discuss, collaborate and seize opportunities in a rapidly changing world. The 8th WIEF will initiate dialogues across a diverse range of topical issues including the changing dynamics of the global economy, the growing influence of youth and women in the business world, and the role of technology to nurture a sustainable future. “The world’s Muslim populations are undergoing unprecedented transformations, which we believe will have a lasting impact on the global economy. Our partnership with the WIEF will help advance the positive, growing, sometimes overlooked contributions of the Muslim world and promote peaceful, prosperous and relevant cooperation,” said Ogilvy Noor President John Goodman. 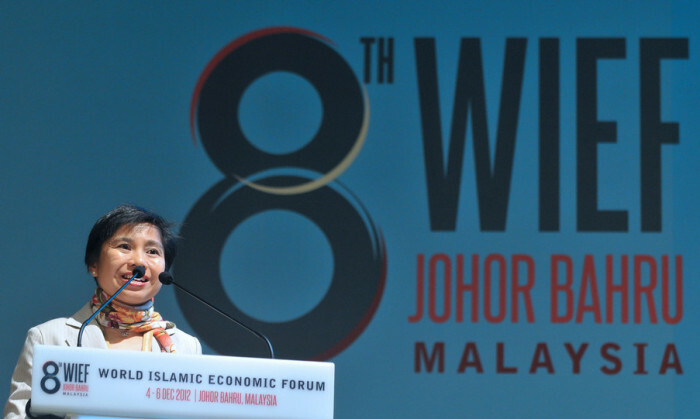 The upcoming 8th WIEF, organised by the WIEF Foundation and hosted by the Malaysian and Johor State government, will be held in Iskandar Malaysia, Johor from 4 – 6 December. Furthermore, Forrester predicts that 75% of B2C CMOs will be tempted to jump into the social fray, but 50% of those efforts will f..